The Husky 8-Piece Torx Folding Hex Key Set includes Torx hex keys that resist rotational distortion and fold up into the handle for efficient organization. The set is made of alloy steel for strength and long-lasting performance. The finish provides resistance to corrosion. 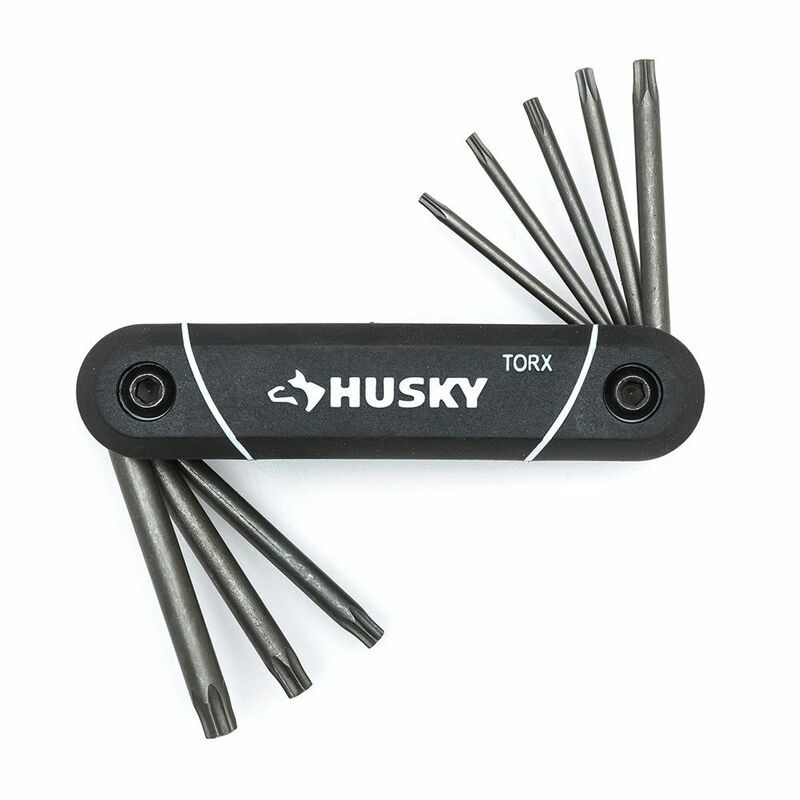 Torx Folding Hex Set (8-Piece) The Husky 8-Piece Torx Folding Hex Key Set includes Torx hex keys that resist rotational distortion and fold up into the handle for efficient organization. The set is made of alloy steel for strength and long-lasting performance. The finish provides resistance to corrosion.